How do you make real food happen with a busy schedule and on a budget? Let this veteran real food momma show you how! Early mornings. Clingy toddlers. School work. Never ending bills. Babies that just…won’t…nap. Dear momma, I am right there in the trenches with you. I get it. I get the time crunch. I get the budget. I get your desperate desire to feed your family well and just not knowing where to start, or where to put your priorities into what part of it is the most important. Here is some veteran momma wisdom for you. Let’s start somewhere. Instead of getting overwhelmed with fancy food prep, elaborate meals, and time consuming recipes, let’s get back to the basics. Real food at its core. Because let’s face it…our ancestors would have kept it that simple. I do not, I repeat, I do NOT spend all day in my kitchen. 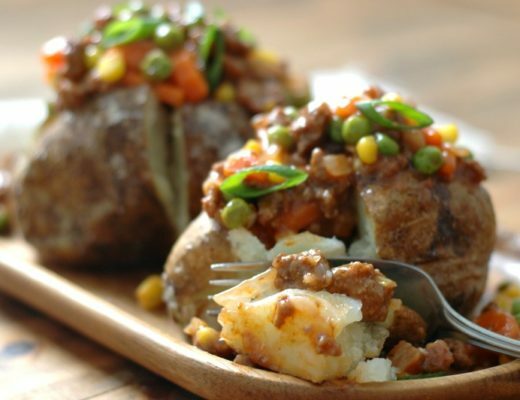 Here are a few ideas for you to make your meals work for YOU! Dear momma, make that meal work double time for you. I almost always make more of a meal than we need. Especially when it comes to soups, casseroles, and baked goods etc double up that recipe and use it later in the week when you don’t have time to cook. Get the kids in on the action. I know what you are thinking…doesn’t that make it take longer?! Well, yes at first. But let me give you a little perspective. If the problem with getting the meal made is the kids being around, isn’t getting their hands busy washing, peeling, or playing with scraps at the counter keeping their hands busy so you can do your thang?! YES! Secondly, I promise you that over time, those hands that fumble over a peeler, and need constant supervision at the stove, will become your best soux chefs! My little helpers have become my right hand in the kitchen at times. Prep day. Or prep afternoon or evening. Or prep hour even! Whatever you can do, have one set aside time during the week where you can have a little prep time. Wash and chop veggies (so you don’t have to buy the expensive pre prepped veg! 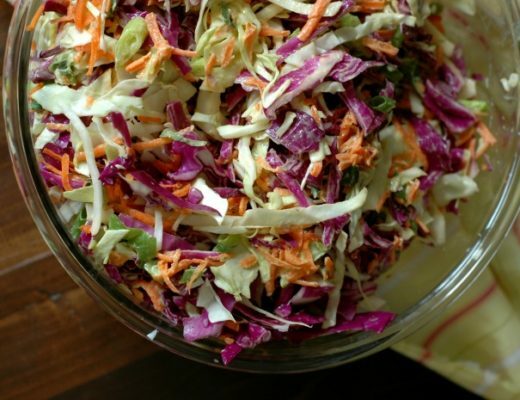 ), make salad dressings, mayo, and other simple staples you need for the next couple weeks. Make a huge pot of soup to eat from on busy days so you can avoid reaching for fast food or convenience foods when life happens. Lastly, keep it simple. I love a fancy meal just as much as you. But life doesn’t always allow fancy food prep time. 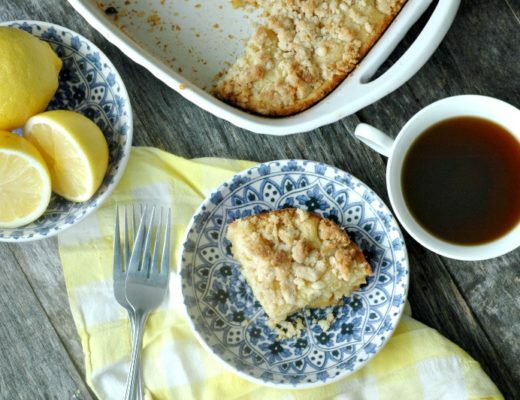 You can still put a delicious, satisfying meal on the table keeping things simple. One of my goals in every post, and every book I write for you, dear readers, is to keep myself as relate-able as possible. My real life is about as real as it gets. We lived for years on one income. We’ve been the one car family, the laid off family, the food stamp family. We have been the sleepless night family, the 3 kids four years old and under family, the both momma and daddy working family. My heart is to show you that despite “life,” this real food thing really can happen. Because of this real life that I live, I am very choosy about projects that I take on. I’m talking super picky. I only have so much time to pour into projects with my busy family, and I want to be ensured that every project I take on will have meaning for you, my readers. Which is why I quite literally jumped at the opportunity to be a part of the 30 Minute Clean Eats On a Budget e-book project. When I read through Kelly’s vision for this E-book my heart leaped. Recipes need to be 30 minutes from start to finish, and must be made in a pot or pan (No slow cooker or Instant Pot recipes because not everyone has one or can afford one). Recipe cost needs to be under $20 for 4 people (the lower the better). Doesn’t that just make you perfectly giddy? Along with a talented group of 19 veteran real food bloggers, we have compiled an affordable E-Book cookbook of over 80 budget friendly, time crunch friendly, real food meals for the whole family! 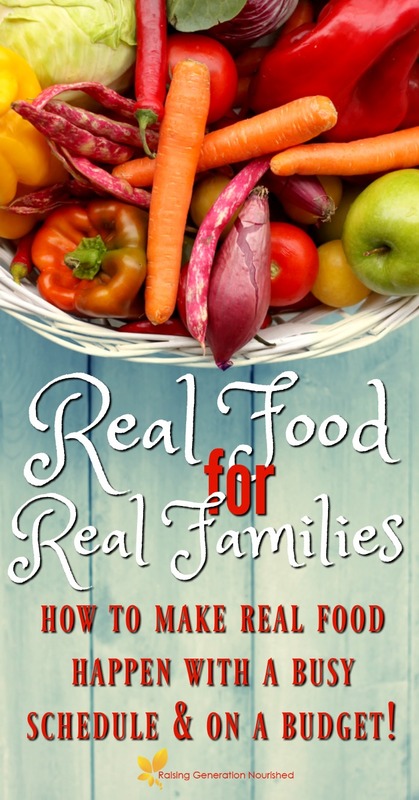 Not only is this e-book loaded with recipes you can make today, there are tried and true real food budget tips to help you baby step your way into this lifestyle. 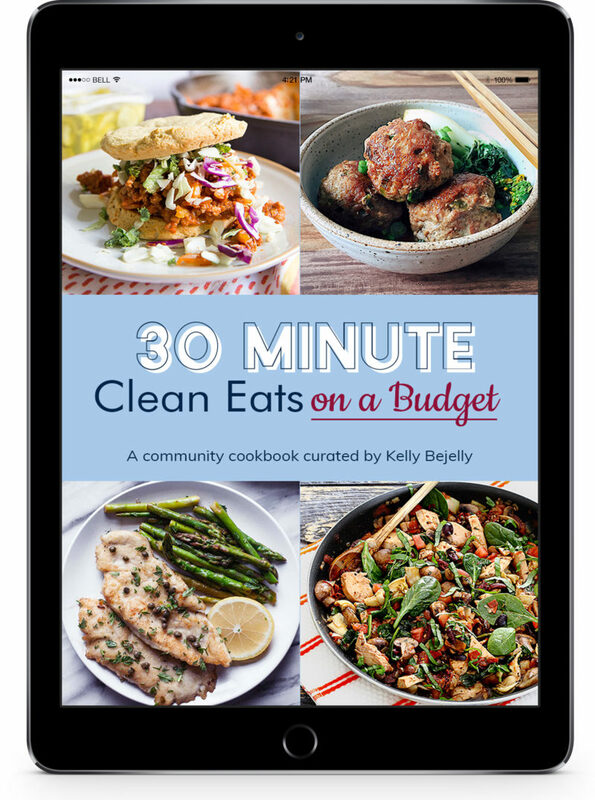 You can snag up your copy of the 30 Minute Clean Eats On a Budget e-book here right now! Let us hold your hand through this lifestyle change – we are so excited for you! I love these precious photos of your babies in the kitchen cooking. So many thoughtful and helpful tips in here too! The book is so lovely and is going to be such a great resource for families. SO excited for you. Looks like a fabulous project. I am thrilled that you and Kelly have pulled this fabulous cookbook together which will be so helpful for so many. Hey, I am NOT a momma with small kids but I’m busy and budget-conscious and I’m thinking I need to get myself a copy! Off to enter the contest too! Your food always looks SO delicious, Renee! Thank you for your kind words Carol! I too love the pictures of the girls. I bet this book is amazing. Such great tips and those meals look amazing! I SO appreciate your realness on social media and in your blog posts, i.e. dirty dishes! 😉 This looks like an amazing resource for busy home cooks who want simple allergy-free foods. Congrats on another awesome project! Thank you Elaina! This kitchen is so real life! Ha! Some really good info in here! Thanks Renee! 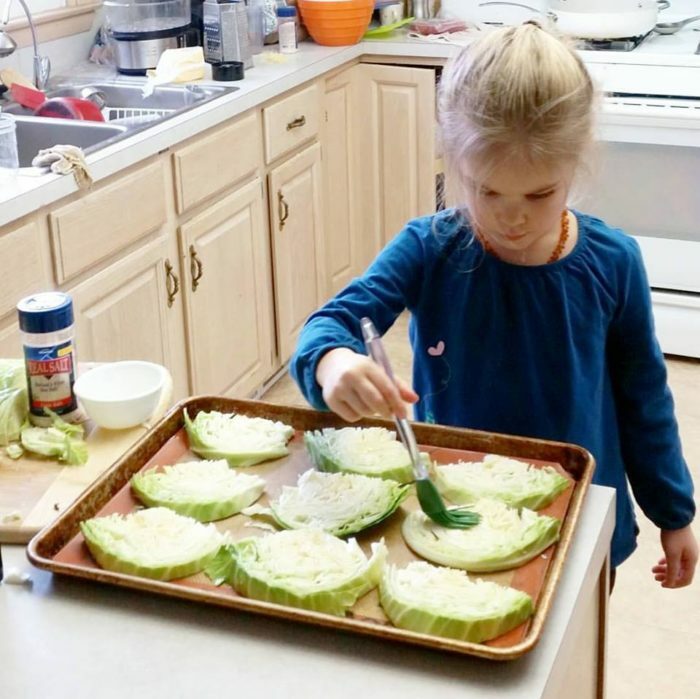 Such cute pics of your kids helping cook! I need to take your advice. 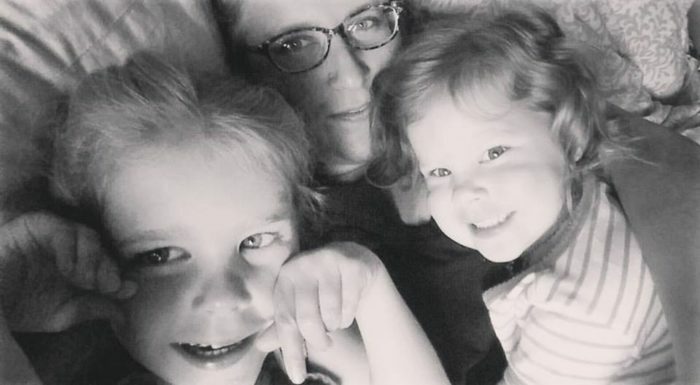 I have my kids help but I get frustrated with how much longer it takes, but you are right. They will get it and be such helps eventually. I love that you have your girls helping you in the kitchen. Loved this post. So lovely to have an insight into your family without the facebook style show reel, we can all relate! This is really inspiring – I have two young girls (8 and 11) and it is easy to spend ages in the kitchen, feeling like you’re never getting anything else done. Your post has lot of great tips and I love the sound of that book! Such inspiration, real life happens and it’s so important to keep eating healthy! You are SUCH an incredible example of how real food can and should be accessible to anyone with any lifestyle. You rock so much. Thanks for sharing this! Thank you for your humbling words Irena! YES! I love that your kiddos are right in there. What a gift to teach them the art of cooking! Aw, love this! We don’t have kids yet, but I can totally see my husband being really hands on with the our kids in the future. You always have such great tips, Renee! I love seeing your girls help in the kitchen- so fun! What an awesome article ! I learned a lot from your real life experience. Thanks for being so open to us. Truly appreciate it ! Great tips! I get questions about this all the time in my nutrition practice, so I’ll refer them to your article! You are such a rockstars, Renee, and those littles are simply beautiful! What a wonderful cookbook for busy mommas! Your tiny sous chefs are so cute, it makes me miss my big kids being little, except the sleepless part. Don’t worry, when they are teens, they will sleep a lot & then you will be going through the trying to wake them up ordeal, lol. Thank you Stacey! I love your veteran momma wise words – I will remember that! Thank you! 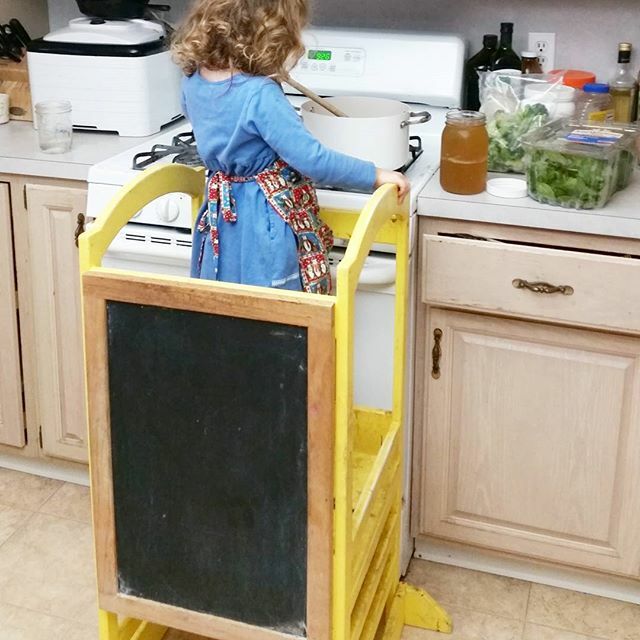 I absolutely love the idea of guiding your kids into being your sous chefs! 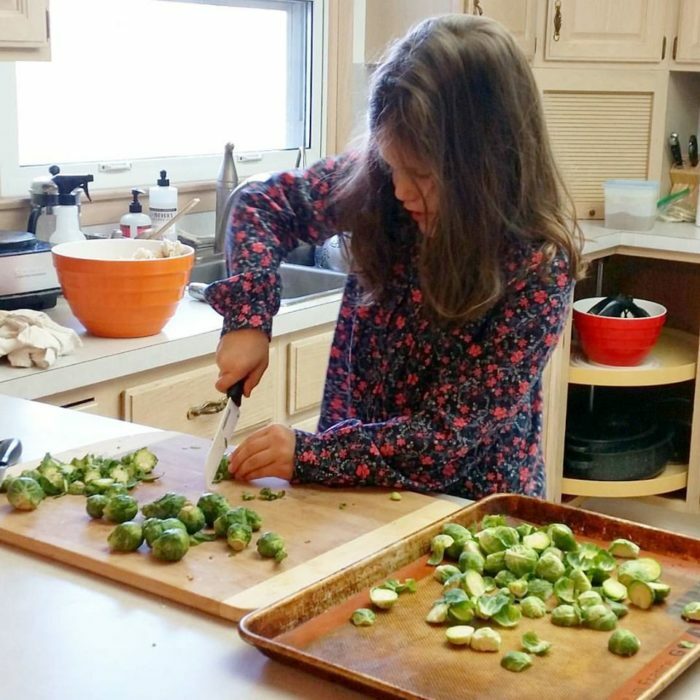 What a great way to help them learn about where their food comes from, how to prepare food, and keep them from doing the many other distracting things that they could be doing! Great photos, this is how it works in our house too, get them loving cooking young. I look forward to seeing the book! Love the kitchen – looks like mine! Tell me about that awesome kid’s step ladder contraption ?? ?